Do You Need to Retitle a Vehicle When Moving to Another State? If you’re relocating to another state, you may have a number of things to consider as your move gets underway. Many states allow at least 30 days for you to register your vehicle at your new address, and states typically require only that you register your vehicle, not retitle it, when you arrive. 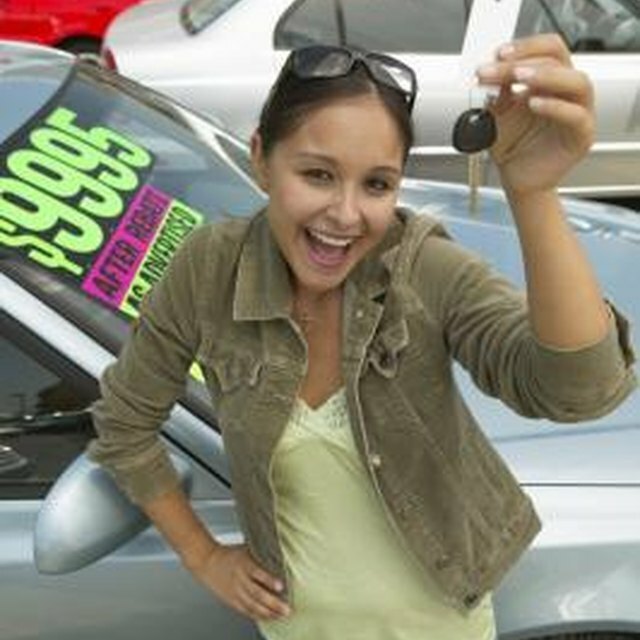 Although it is not essential that you retitle a vehicle when you move to a new state, choosing to do so could make it easier to sell the car at a later point. When you arrive at your new home, the state will likely require you to register your vehicle to your new address. During the registration process, the state will issue a new state license plate, and the plate will be tied to your new address. Depending on the state, the Department of Motor Vehicles, or DMV, may allow you to keep your old license plate. Some states require that you surrender your existing plate, so be prepared to turn it in when you visit the DMV. Your new state will require you to have certain documents available when you register your vehicle. Most states require that you provide proof of ownership, typically in the form of an existing registration or vehicle title. You will also need to provide your new address, and may need a driver’s license or other official identification showing this address. You will likely need to pay a registration fee to your new state when you register your vehicle. If your vehicle is leased or if you have a lien holder, the state may require you to provide a copy of the title and contact information for your leaseholder or lien holder. Many states allow you to register your vehicle without obtaining a new title in that state. In Nevada, for example, you may obtain a license plate and registration without getting a Nevada title for your vehicle. Similarly, California allows you to register your car using an out-of-state title, but you may request that the state re-title the vehicle in California if you prefer. What Does Certificate of Title Mean in Florida? Though many states allow you to register your vehicle with an out-of-state title, other states will require you to surrender your out-of-state title during the registration process. In Florida, for example, the process for registering an out-of-state vehicle involves surrendering your existing title and paying for an official Florida certificate of title. Other states may have similar requirements, so be sure to check with the DMV in your new state to verify whether you must, in fact, retitle your vehicle when you register it. Even if your new state does not require you to retitle your vehicle, you may wish obtain a title in the new state anyway. If you should want to sell your vehicle, especially to a private party, having an in-state title may make the process easier. Some states, like New York, may also require your lien holder to re-issue the title in the new state once you have satisfied your finance obligations.